Designed in mind for parents and caregivers to provide a portable bed with heirloom quality bedding that is just right for those first few months. 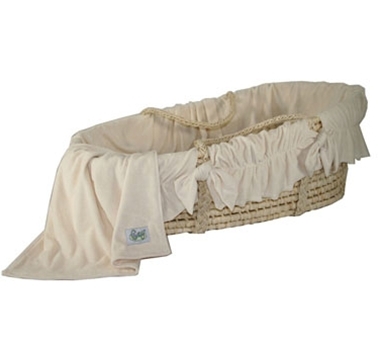 The Moses Basket should always be put on a stationary wide flat surface and is not to be used as a baby carrier. Bedding is also sold separately.